$25.00 for each additional person. Monthly or off season stays will be quoted. Maximum number of people is five. 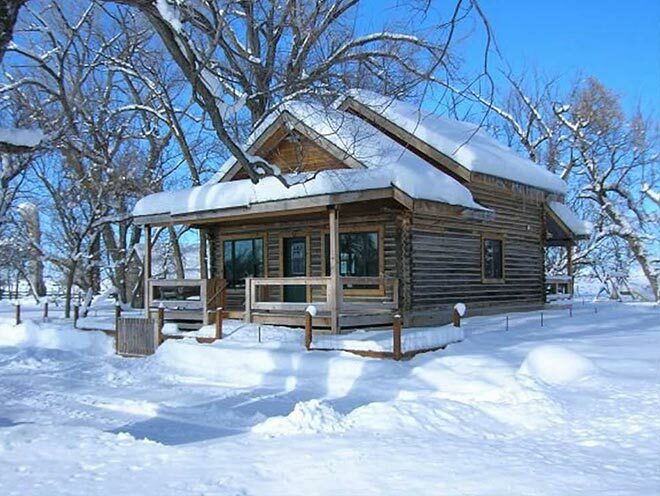 The original homestead log cabin has been completely rebuilt from the ground up. 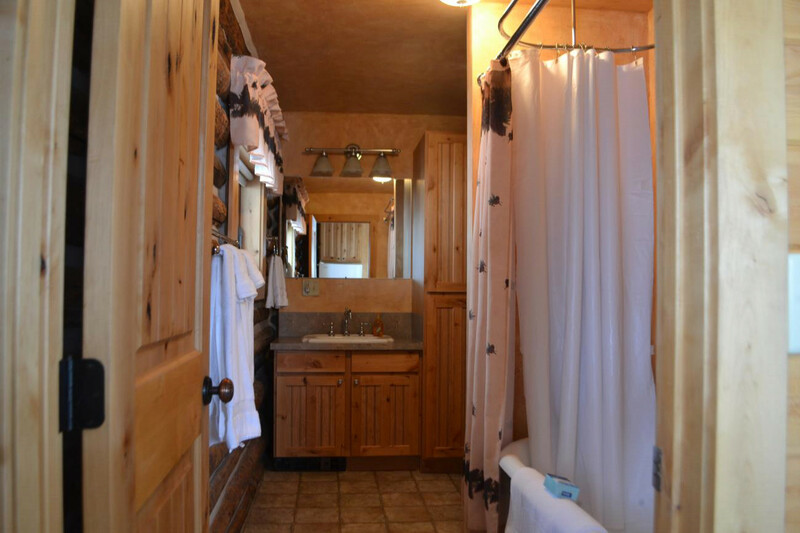 We have maintained the antique charm of an old ranch home, but added all of the modern comforts. 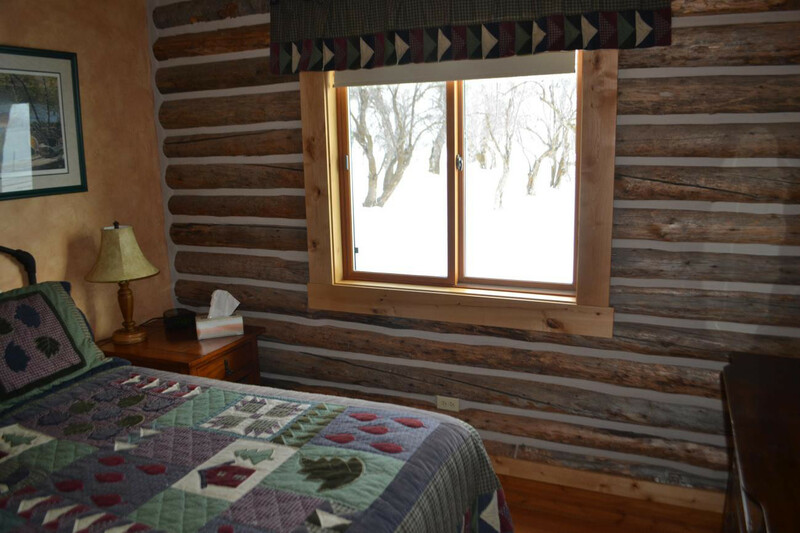 It has one bedroom with a queen size bed and also has a leather queen size hide-a-bed in the living room. There are two queen size futons and two twin beds in the loft and a big screen TV and sound system. The kitchen is complete with a dishwasher, range, refrigerator, microwave and all of the dishes and bakeware needed. The claw foot tub in the bathroom is deep enough for a bubble bath or is equipped with a shower. 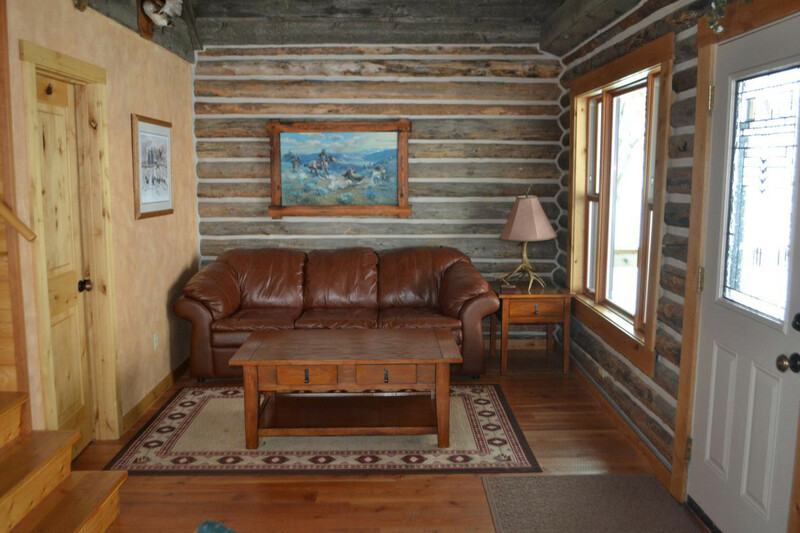 Rough sawn wooden floors are throughout the cabin. 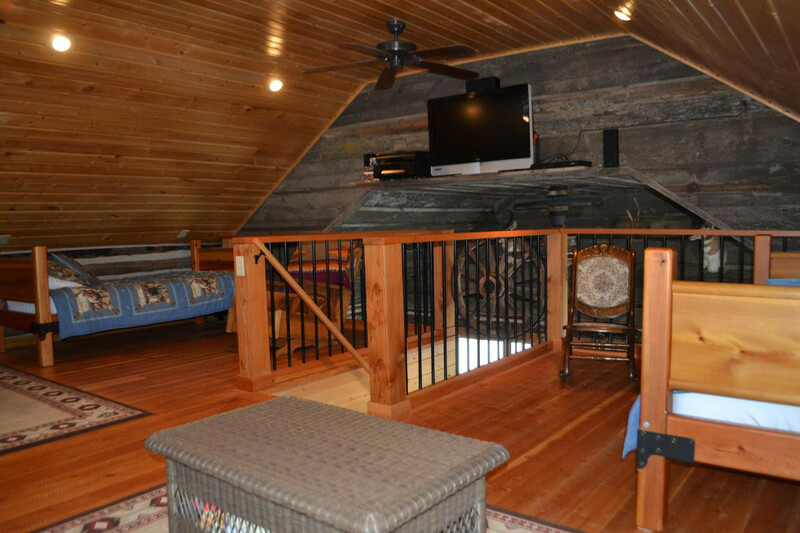 Two covered decks complete the cabin. 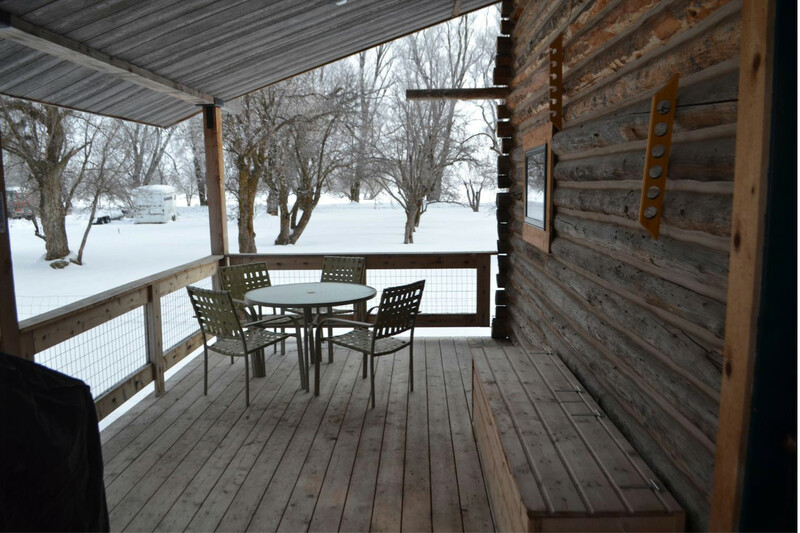 The front deck has a view of the Grand Tetons, while the back deck looks out at the river. A gas BBQ grill is provided for your use. You can walk out the door and in a few minutes be fishing. 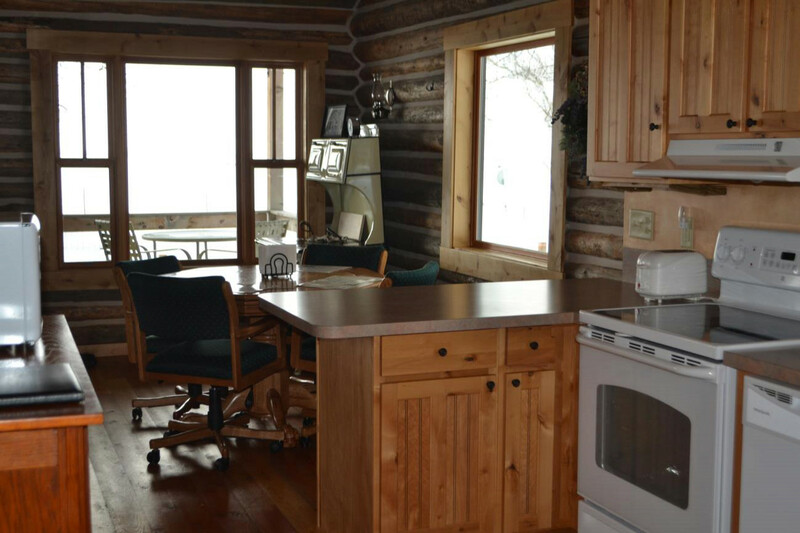 You can always come back to the cabin to relax, nap, eat and then go back out fishing without driving anywhere. Wonderful! 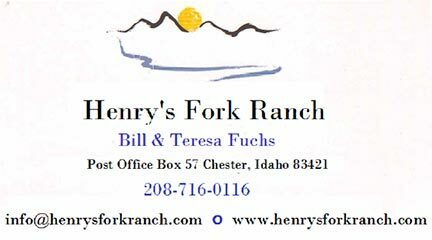 When you come for a stay at the Henry’s Fork Ranch, you’ll be welcome to use the 500 acres and two miles of river frontage. This is a working cattle ranch and our home. We hope that you’ll enjoy your stay. 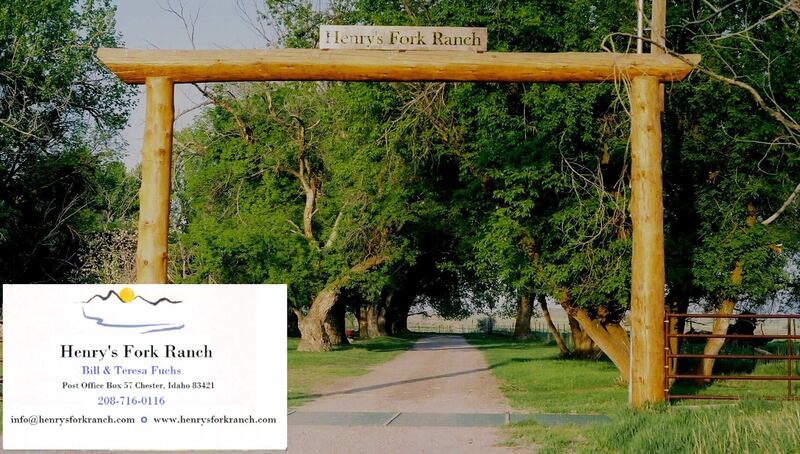 The ranch is ideal for a family stay. 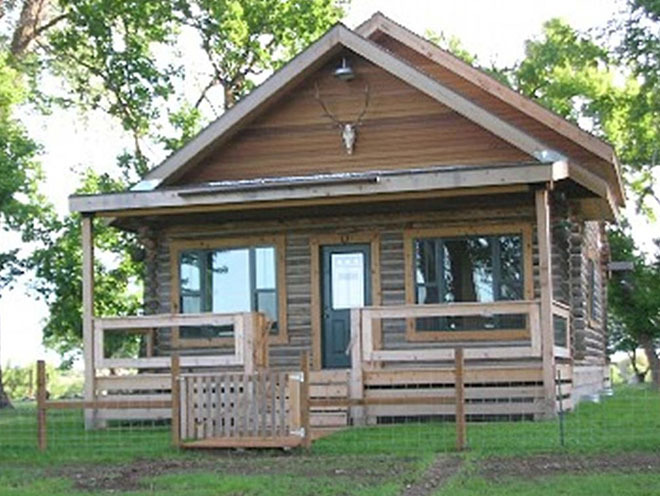 If you’ve wanted to teach your young fisher or hunter what your father may have taught you, this is the ideal setting. Our guests have always included young people who have caught their first fish or bagged their first goose or duck. 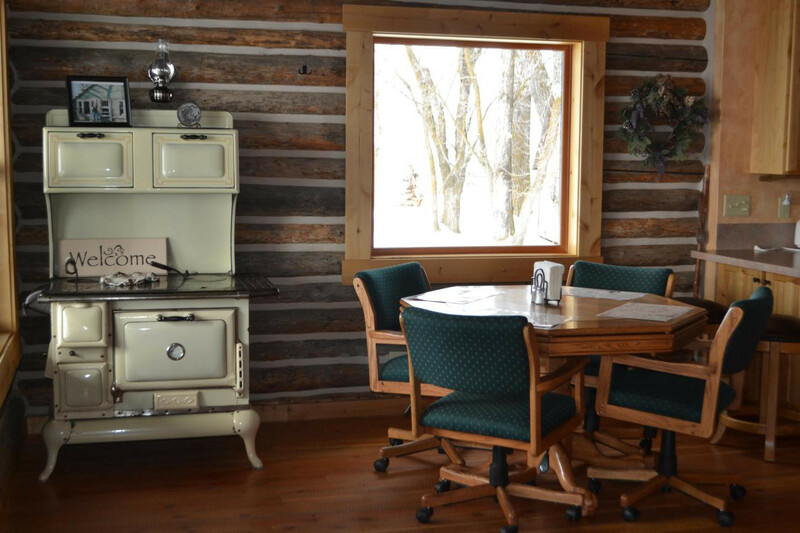 The ranch is also ideal for those who want to spend some quality time with a business client or customers. Our desire is that you’ll enjoy your stay so much that you’ll make plans to come back. Recent guests gave us a five star rating. We are horse owners and lovers and we realize that it is often hard to find accommodations for the cowboys and their horses when traveling across the country. We can help. 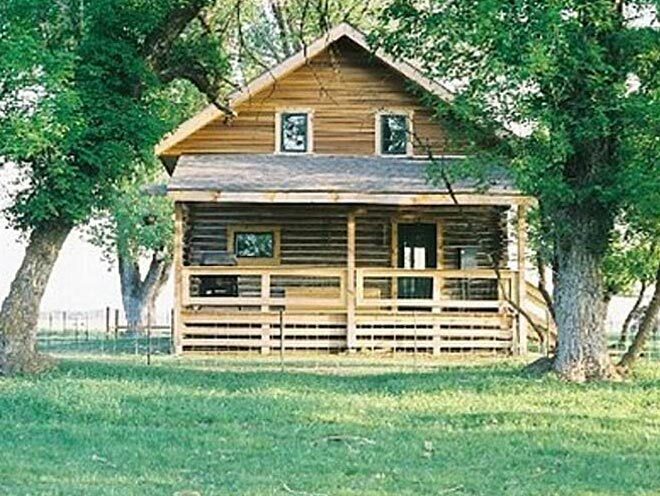 You can stay in the cabin and we have nice corrals for your horse to stay in. We even have an arena that you can ride in, if you’d like to exercise them. We will accommodate our guests and are willing to customize your stay if you’d like.